The fully air-conditioned hotel comprises a total of 96 floors spread over 6 floors. It features various facilities including a foyer with a 24-hour reception desk, a TV room and 2 lifts. Guests may choose to pay a visit to the cosy bar and the air-conditioned restaurant with non-smoking area. 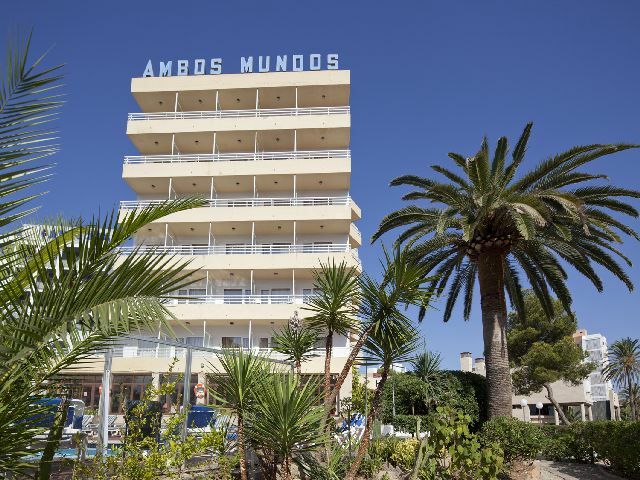 This welcoming hotel is located in the midst of a beautiful green complex on a quiet side street off Playa de Palma. The kilometre-long sandy beach is just 50 m away. Links to the public transport network are located directly in front. The modern rooms come with their own bathroom with shower, a direct dial telephone, satellite/cable TV, central heating, air conditioning (centrally regulated) a hire safe and a balcony or terrace. The hotel grounds offer a swimming pool as well as sun loungers and parasols. Snooker and billiards may also be played (at an extra charge). Breakfast may be selected from a buffet service.